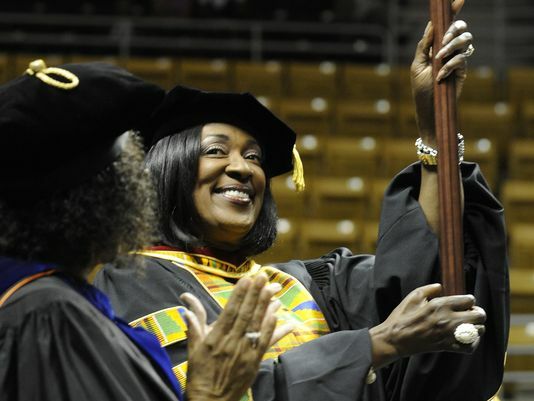 Dr. Gwendolyn E. Boyd is installed as the president of Alabama State University. On Friday, September 6th, Alabama State University’s board of trustees officially welcomed Dr. Gwendolyn Boyd to the office of the president. The nearly-four hour ceremony was topped off with a fiery speech from Boyd, the school’s first alumna president. Tags: Alabama State University, HBCU, HBCU Alumni, HBCU President, HBCUstory, Instillation. Bookmark the permalink.